That Susan Rice either willfully misled the American people on the Benghazi attacks, or lazily absorbed intelligence briefings without the least bit of personal involvement, is obvious. That she was covering for the Obama Administration in denying a terror attack just weeks before the election is speculative but likely. That she does not, therefore, deserve to become Secretary of State is arguable. But what is not arguable is that she deserves to be denied the post for a different reason altogether: Rwanda. What emerges when taken together -- Rice's weak response in Benghazi, blaming the murder of four Americans on a stupid video, and her shameful lack of action in the Rwandan genocide -- is a career diplomat of singular weakness, lacking the spine or muscularity to assert American moral influence in the world. Rice was part of Bill Clinton's National Security Team that in 1994 refused any involvement whatsoever in the Rwanda genocide, leaving more than 800,000 men, women, and children to be hacked to death by machete in the fastest genocide ever recorded. The Clinton Administration had just been spooked by the Black Hawk down incident in Somalia and wanted no further foreign entanglements. But the lengths to which they went to deny assistance to the Tutsis, with Rice being central to the decision-making process, will forever live in infamy. But not content to insist on American non-involvement, the Clinton administration went a step further by obstructing the efforts of other nations to stop the slaughter. On April 21, 1994, the Canadian UN commandeer in Rwanda, General Romeo Dallaire, declared that he required only 5000 troops to bring the genocide to a rapid halt. In addition, a single bombing run against the RTLM Hutu Power radio transmitting antenna would have made it impossible for the Hutus to coordinate their genocide. But on the very same day, as Phillip Gourevitch explains in his definitive account of the Rwandan genocide, We Wish to Inform You that Tomorrow We will Be Killed with Our Families, the Security Council, with the Clinton Administration's blessing, ordered the UN force under Dallaire reduced by ninety percent to a skeleton staff of 270 troops who would powerlessly witness the slaughter to come. This, in turn, was influenced by Presidential Decision Directive 25, which "amounted to a checklist of reasons to avoid American involvement in UN peacekeeping missions," even though Dallaire did not seek American troops and the mission was not peacekeeping but genocide prevention. Indeed, Madeleine Albright, the American Ambassador to the UN, opposed leaving even this tiny UN force. She also pressured other countries "to duck, as the death toll leapt from thousands to tens of thousands to hundreds of thousands... the absolute low point in her career as a stateswoman." In a 2001 article published in The Atlantic, Samantha Power, author of the Pulitzer-Prize winning A Problem of Hell and arguably the world's foremost voice against genocide and who currently serves on the National Security Council as an aide to President Obama, referred to Ambassador Susan Rice and her colleagues in the Clinton Administration as Bystanders to Genocide. She quotes Rice in the 2002 book as saying, "If we use the word 'genocide' and are seen as doing nothing, what will be the effect on the November congressional election?" Rice's subordination of a human tragedy of epic proportions to partisan politic interests mirrors the current allegations of why she denied a terror attack in Benghazi. Rice then joined Madeline Albright, Anthony Lake and Warren Christopher as part of a coordinated effort not only to impede UN action to stop the Rwanda genocide, but to minimize public opposition to American inaction by removing words like "genocide" and "ethnic cleansing" from government communications on the subject. In the end, eight African nations, fed up with American inaction, agreed to send in an intervention force to stop the slaughter provided that the U.S. would lend them fifty armored personal carriers. The Clinton Administration decided it would lease rather than lend the armor for a price of $15 million. The carriers sat on a runway in Germany while the UN pleaded for a $5 million reduction as the genocidal inferno raged. The story only gets worse from there, with the Clinton State Department refusing to label the Rwanda horrors a genocide because of the 1948 Genocide Convention that would have obligated the United States to intervene, an effort that Susan Rice participated in. I recently met Gourevitch at a press conference I hosted for the Rwandan Minister of Foreign Affairs, Louise Mushikiwabo, where she announced that Rwanda would be opening an Embassy in Israel in the next six months. It was an honor for me to encounter an American who had done so much to highlight the brutal slaughter of innocent Africans while the most powerful country on earth did nothing. But why honor Susan Rice for the ignominy of doing nothing while six in Rwanda died every minute. Why elevate a woman so oblivious to American moral principles and the value of African life that she thought we out to sit this one out? It was painful enough to watch Kofi Anan elevated to Secretary General even though as head of UN peace-keeping forces worldwide he sent two now infamous cables to Dallaire forbidding him from any efforts to stop the genocide (the cables are on display in the Kigali Genocide Memorial where I visited in the summer). But to elevate Rice would make a mockery of those who believe that "Never Again" ought to mean just what is says. Better that Rice remain where she is. An ambassador whose spinelessness perfectly matches the organization she's in. 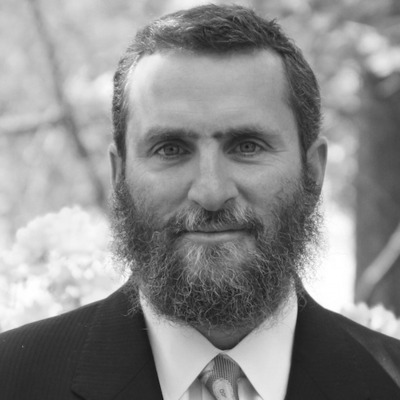 Rabbi Shmuley Boteach, whom Newsweek and The Washington Post calls "the most famous Rabbi in America," is the international best-selling author of 29 books, and will shortly publish "The Fed-up Man of Faith: Challenging G-d in the Face of Tragedy and Suffering." His website is www.shmuley.com. Follow him on Twitter @RabbiShmuley.